If you’re looking for a vehicle that offers top MPG ratings for your drives throughout Pooler and Bluffton, it’s going to be tough to beat the 2017 Toyota Prius. On sale now at Savannah Toyota with an MSRP from just $23,475*, the Toyota Prius’ performance is responsive and agile as well as incredibly fuel-efficient. Get the full scoop here, and take the 2017 Prius for a test drive today! 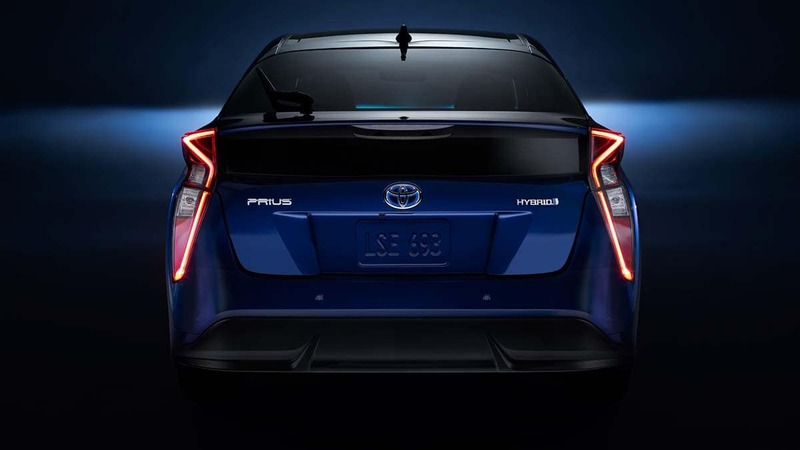 One of the most fuel-efficient cars on the road, the Prius boasts standard EPA estimates of 54 mpg city and 50 mpg highway on most trims and can reach as high as 58 mpg city and 53 mpg highway with the Prius Two Eco. The Prius features an electronically controlled CVT that is able to change seamlessly through a wide range of continuous gear ratios in order to provide a more efficient performance. The Prius comes with dual electric motors and generators, which are able to serve up extra extra power with the help of the engine when needed. Every Prius hatchback comes with a 1.8L inline-four engine that features direct injection technology and a lightweight design. The 2017 Toyota Prius clearly delivers outstanding fuel economy, but what some don’t know is that this hybrid hatchback is also quite responsive on the road. For starters, the hybrid powertrain combines to deliver a total output of 121 hp. The new Prius also gets a double-wishbone rear suspension, rear spoiler, and increased body rigidity for a surprisingly agile feel behind the wheel. For Pooler drivers craving added response, the special Touring trim suspension delivers the goods! Plus, on top of its peerless fuel efficiency, the new Prius is also the winner of top awards like the IIHS’s Top Safety Pick+ recognition. Luckily, you can find the 2017 Toyota Prius for sale right now at Savannah Toyota, located at 11101 Abercorn Street in Savannah, GA. We open Monday through Saturday at 9:00 a.m., and you can contact us online anytime or call us during our normal hours at (855) 411-6139 to schedule your test drive.